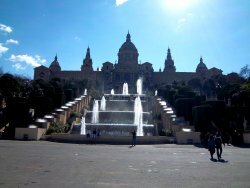 Barcelona, Spain's second largest city, has an excellent public transport system of buses and metro or you can use the Bus Touristic which has a north and a south route. 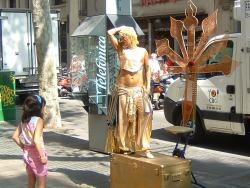 The tree lined La Rambla is a particularly popular and unique street, running inland from the harbour, where you will find street artists performing shows, living statues,market stalls and open air restaurants and bars. 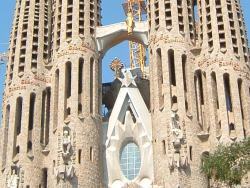 Then of course there is the architecture, from gothic to the very different work of Gaudi. 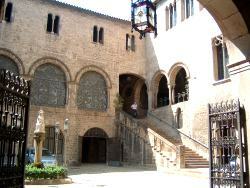 Of the many excellent museums, the most visited is the Museo Picasso, housing one of the most extensive collections of Picasso's work. 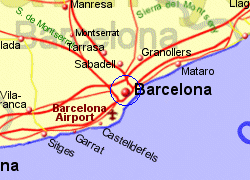 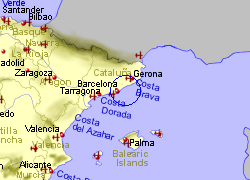 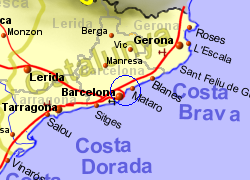 Map of the Barcelona area. 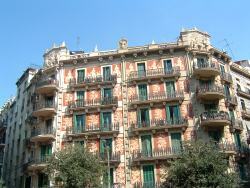 This very smart apartment is located just two minutes walk from Placa Universitat - the beginning of the amazing Cuitat Vella - the oldest part of central Barcelona. 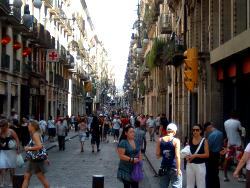 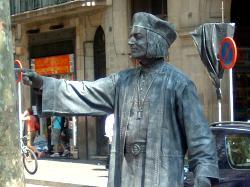 The surrounding streets are full of cafés restaurants and delicatessens brimming with traditional Barcelona fare. 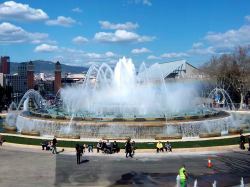 This is a very spacious apartment offering high quality accommodation in smart surroundings. 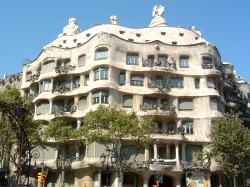 Located 2 floors up, with access via elevator, the apartment is bright and surprisingly tranquil.